Eileen Fulton is an American actress. 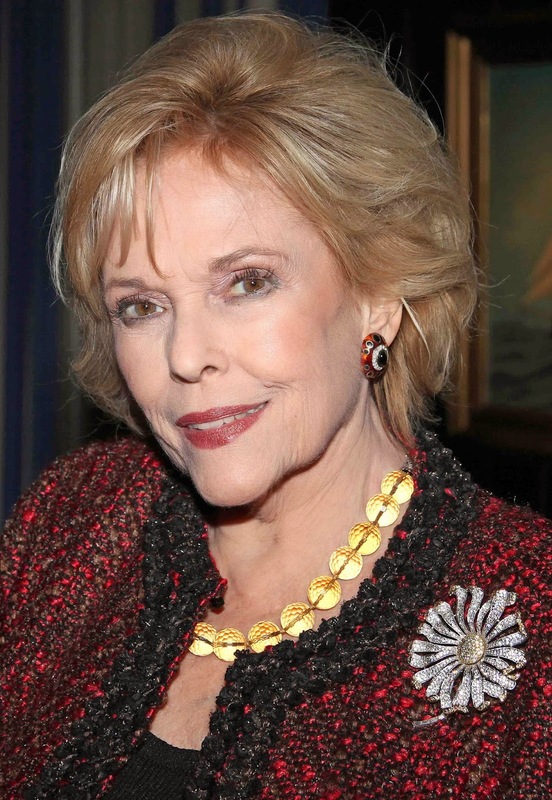 Fulton is known for her role as Lisa Grimaldi on the CBS soap opera As the World Turns, a role that she played almost continuously for 50 years from May 18, 1960 until the show's ending on September 17, 2010. Our old friend Eileen will be at THE METROPOLITAN ROOM in New York City Sunday Feb. 16th. The club is located at 34 West 22nd St.Call the for reservations at 212.206.0440. This event will be a A benefit for HABITAT FOR HUMANITY. The cast of HISTORY’s “Pawn Stars” attended the premiere of PAWN SHOP LIVE!, a live parody based on their show, at the Golden Nugget last night. The Pawn Stars were there in force. Enoch Scott (“Old Fart” puppet/multiple roles), Richard “The Old Man” Harrison, Rick Harrison, Gus Langley (Lil’ Boss), Garret Grant (Chump), Austin “Chumlee” Russell and Corey Harrison. Director and co-writer Troy Heard and creator/producer Derek Stonebarger of PAWN SHOP LIVE! 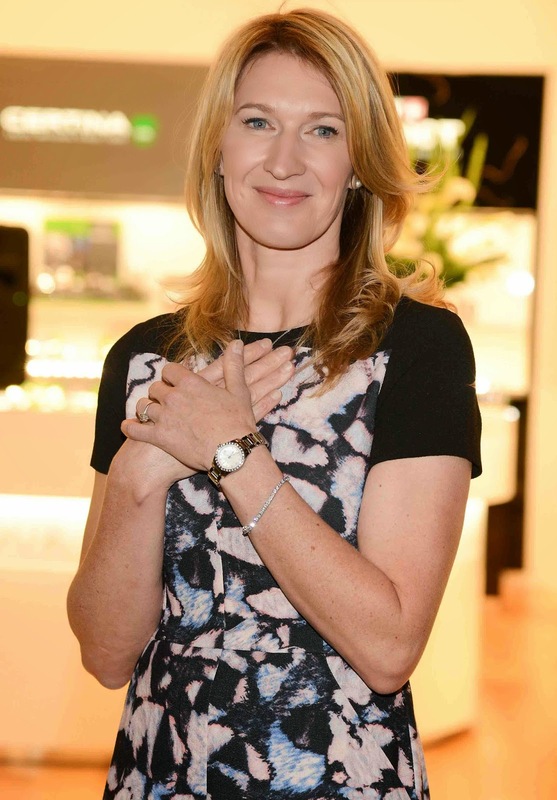 Steffi Graf was snapped at the Hour Passion Boutique grand opening at the Aria Resort & Casino in Las Vegas, Nevada. BLUNT LANDING --- I've just heard the first best of the year, James Blunt’s fourth album, Moon Landing. It is, without a doubt, a killer on every level. 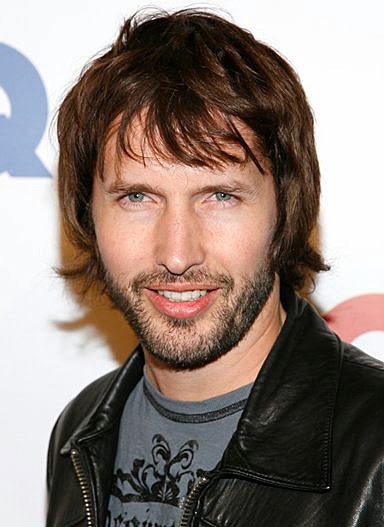 When Blunt was first introduced in 2004, and his “You're Beautiful” became a massive, global hit … the die was cast. That success became both a blessing … and, a curse. A blessing, as Blunt was fully baptized as not only a terrific performer but also a great writer. For true songwriters, here was an amazing new talent, that actually wrote songs … with a beginning, middle and end. A curse, as that song became so big … everywhere, that people actually began to tire of it. It was too much of a good thing. 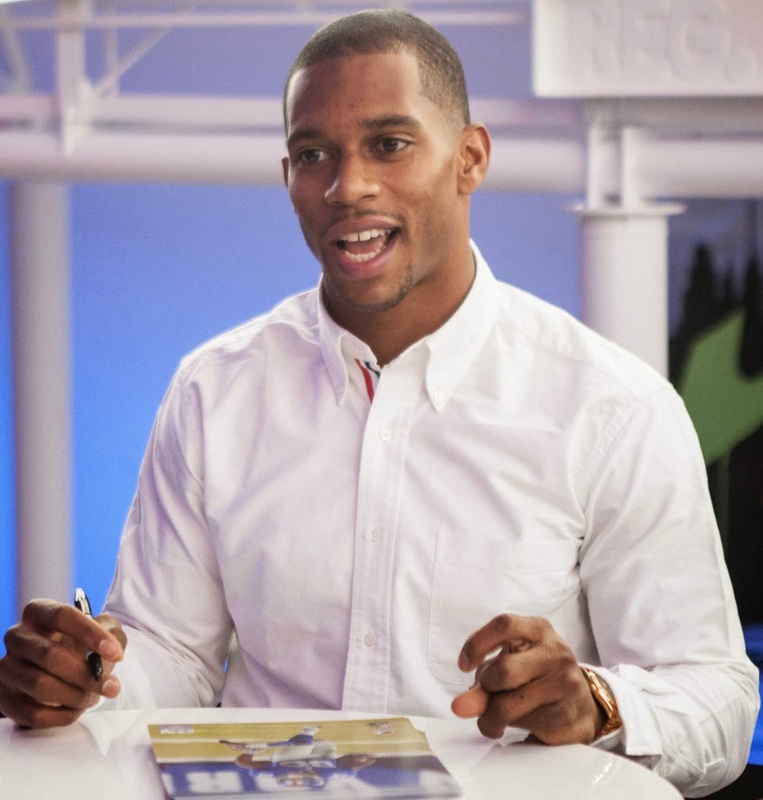 Victor Cruz was signing autographs at PepsiCo’s #PEPCITY three-day celebration of Super Bowl XLVIII and its hosts, New York and New Jersey, at Bryant Park in New York City. 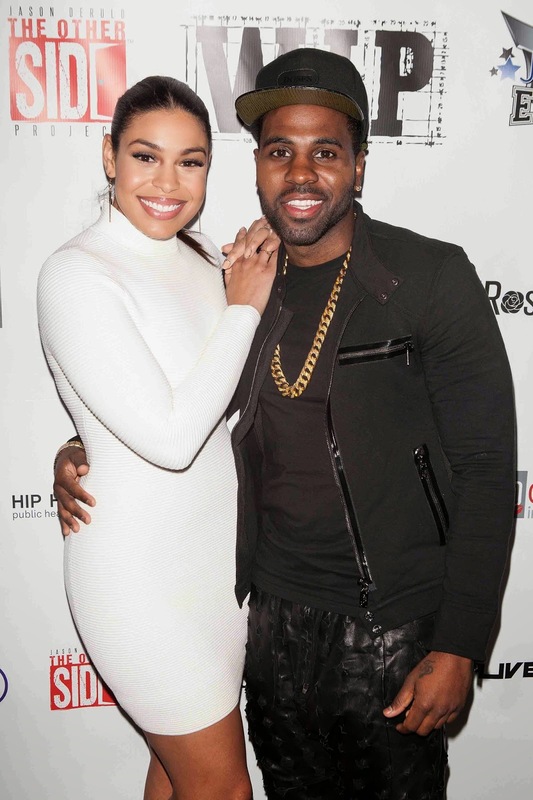 Jordin Sparks and Jason Derulo attended the New York Red, White and Black Super Bowl Party for the 7th Annual Jordin Sparks Experience at WIP yesterday, in New York City. New York Socialite Kelly Bensimon and Smash alum Jeremy Jordan were among the celebs at RadioShack's Wearable Technology Showcase in association with Fitbit and SOL REPUBLIC at RadioShack's concept store in NYC the other day. RadioShack believes that fitness can be fun and guests got to see and experience the latest wearable devices to keep them motivated and active in 2014 including the Fitbit Zip Wireless Activity Tracker and the Fitbit Flex Wireless Activity and Sleep Wristband that measures personal metrics including real-time stats where you can monitor steps taken, distance traveled, calories burned, stairs climbed and active minutes throughout the day. 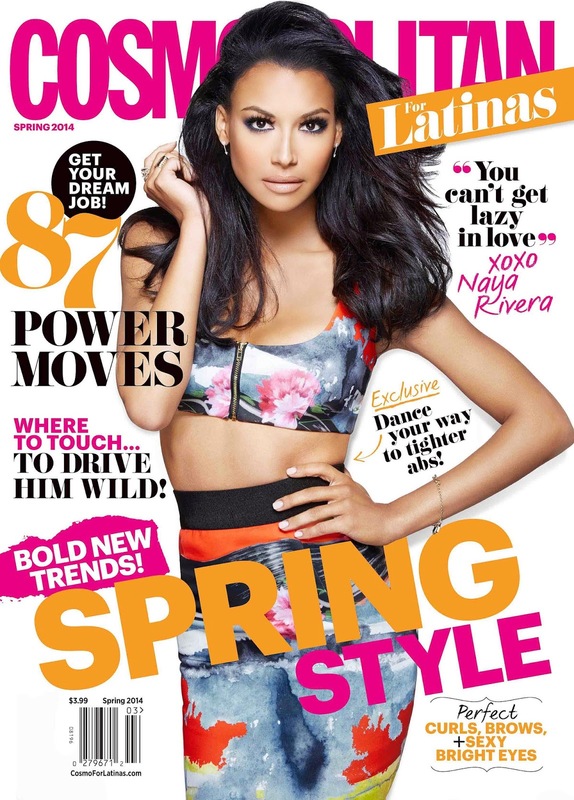 Naya Rivera poses in the season’s most colorful looks on the cover of the Spring 2014 issue of Cosmopolitan for Latinas, on stands February 4th. The Glee star opens up to the magazine about her future with rapper Big Sean, how she’s planning for their life together, and her struggle to get ahead as a teenager. Tahj Mowry, sibling to twin sisters Tia and Tamera, and starring in the hit ABC Family comedy "Baby Daddy," stopped by "The Wendy Williams Show" yesterday to clear up the slurs recently leveled at one of his famous sisters, the benefits of being an uncle and his football prowess. Responding to some of the racist backlash his sister, Tamera, received for marrying Fox News reporter Adam Housely, Tahj said, "I deal with that all the time too. If I post a picture with all white friends around me, I don't have any black friends or... Someone told me the other day, 'embrace your black side', I was like 'you don't know me, what are you talking about?'" He added, "When people ask me what I am, I say I'm black. So for someone to tell me to embrace my black side...I just don't understand it." One of the most highly anticipated flights touched down 50 years ago this February and The Saturday Evening Post reports in its latest cover story that America has never been the same. With the arrival of Pan Am Flight 101 at New York’s Kennedy International Airport, the Beatles landed to the roar of an adoring teenage audience and their parents’ consternation. 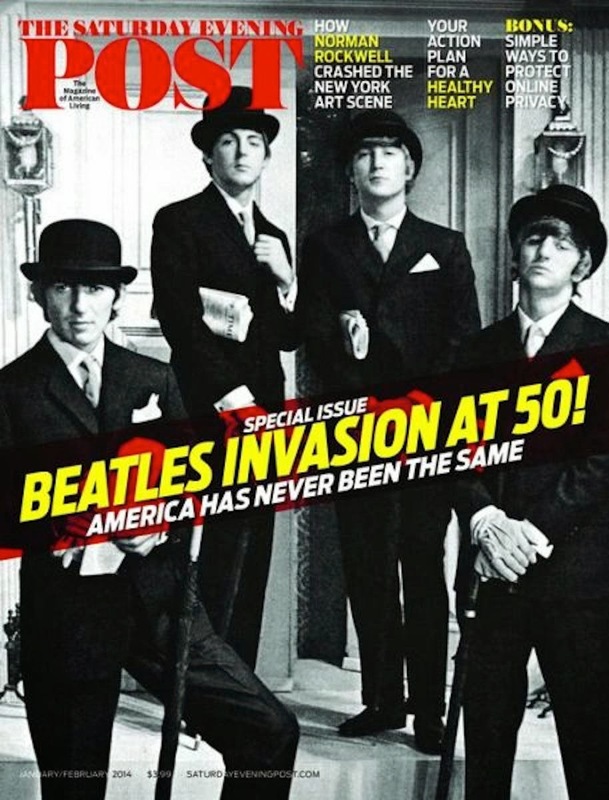 The Post marries Neuhaus’s well researched, contemporary look-back with a sample of the magazine’s fine archival Beatles reporting, including dozens of photos that haven’t been seen since they were originally published in the Post. 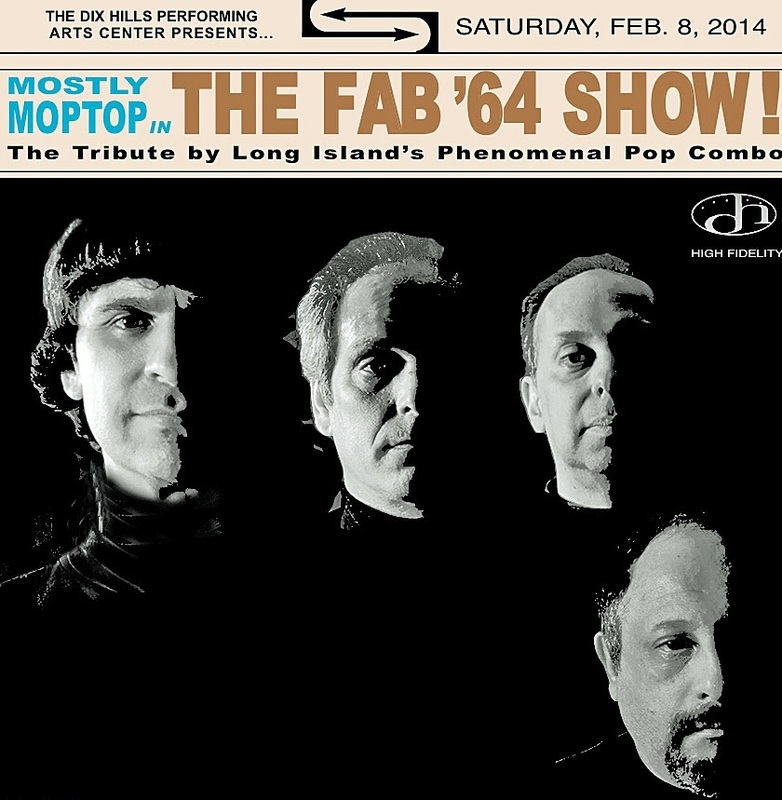 50 YEARS AGO TODAY --- The Dix Hills Center for the Performing Arts will present Long Island’s premier Beatles band, Mostly Moptop, live on the 50th anniversary weekend of the legendary band’s American television debut on The Ed Sullivan Show. Mostly Moptop plays regularly at DHPAC, and contributes their shared Beatles expertise to The John Lennon Center for Music & Technology at Five Towns College. The show, Saturday night on February 8th at 7:30 p.m., is entitled The Fab ’64 Show, and will focus primarily on the group’s breakthrough music from the classic 1964 albums Meet the Beatles, A Hard Day’s Night, and Beatles for Sale. To kick off Big Game Week on "The Wendy Williams Show", rock legend Meat Loaf joined Wendy on her couch today to remind musicians who they work for, reveal he didn't know most of the celebrities attending the Grammy's and explain the origins of his unusual stage name. Set to take up a residency in Vegas, Meat had some sound advice for musicians whose offstage antics may overshadow their performances. "You have to be so disciplined. You gotta know who you're working for. You're working for the people who spent their hard earned money buying a ticket. And that's the most important thing. You don't show up late. You don't go out drinking the night before and get drunk." "Saturday Night Live" cast member Beck Bennett stars in the riotous animated short film, "PLAN C" from Writer Todd Waldman (ABC's "Happy Endings", "Awkward") and Director Joey Boukadakis("Dinner with Raphael", "Lucy in the Sky with Diamond"). The half live-action, half animated comedy explores a "Planned Parenthood" type scenario with an unexpected twist. Bennett, along with fellow comedian Nick Rutherford ("The Office", "Kings of Summer"), plays one half of a pair of fast-talking, highly opinionated, animated twin fetuses biding their time in the womb until delivery day. "We knew they would be thrilled by the roles," said Boukadakis. "It's every actor's dream to play an animated fetus. It's the sole reason they attend Juilliard." Volkswagen of America, Inc. today officially kicked off advertising’s premier event with the unveiling of its new Game Day commercial. Viewers can catch “Wings” on the automaker’s YouTube® channel before it airs in the second quarter of the Big Game this Sunday. This is the fifth consecutive year that Volkswagen has advertised on Game Day. Volkswagen’s 2014 Game Day commercial “Wings”, developed by ARGONAUT, a San Francisco-based creative agency, centers around VW’s 100,000 mile claim – that the brand has the most vehicles on the road with over 100,000 miles*. Legal ivory – ivory that predates the 1989 global ban on international ivory trade brought on by world-wide outrage over skyrocketing elephant poaching – is often indistinguishable from illegal ivory. Worse yet, obtaining documentation in New York to prove the "legality" of ivory just requires some simple paperwork. Make no mistake – having a legal market for old ivory provides a front for the laundering of new ivory from recently-killed elephants. One of the reasons New York State is a major destination for ivory is because of its lax laws. 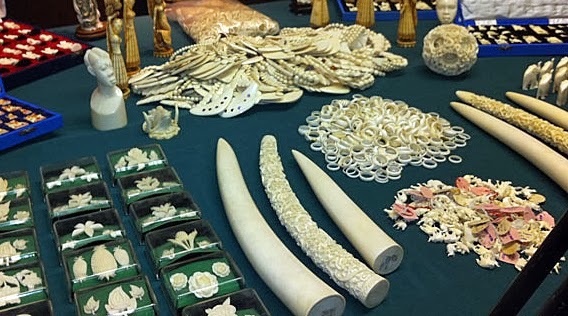 A 2008 survey found 11,300 ivory products for sale in Manhattan alone, making New York a top destination for ivory. Thankfully, state lawmakers are considering instituting an immediate moratorium on the sale of all ivory in New York. If it happens, the law will come not a moment too soon given Africa's massive recent increase in elephant poaching plaguing Africa's elephants. The "Bud Light Super Bowl Ticket Giveaway Promotion" at Rick's Cabaret New York on Saturday, February 1st will award one lucky winner two tickets and transportation to the game. All you have to do is be at the world famous Rick's Cabaret NYC gentlemen's club on Saturday night February 1st and you are entered to win the grand prize. The lucky winner will be driven in the Ricksmobile. Rick's Cabaret Girl Lindsay said, "I hope the winner takes me with him. I promise I will keep him warm during the game, haha!" Bury your guilt!.. A vigilante serial killer is stalking, killing and burying those he has judged guilty and anyone in this corrupt beach town could be next! Filmed in New Jersey, comes a disturbing, new twisted shock fest “Gravedigger”. A sinister collaboration between the minds of Award Winning Actor Keith Collins (“Stuck in the Middle”,”The Meat Puppet”), Doug Bollinger (“Waltzing Anna”), Brandon Ruckdashel (“Co-ed Confidential”), the eerie ink of NY Emmy Award Winning Writer Joseph Pepitone & Billy Pepitone (“Stuck in the Middle”) and along with original music from guitar rock genius Ron "Bumblefoot" Thal ("Guns N' Roses") comes an intense horror/thriller that will keep you on the edge of your seat and the brink of insanity throughout a terrifying journey of paranoia. GRAMMY DEAREST --- It was another old school vs. new school night at The Grammy's - their 56th broadcast - last night. Paul McCartney and Ringo Starr sat front and center and were probably as bemused as most of the crowd, there and at home, by the rather bizarre performances from Katy Perry, Lorde (who did win Song of the Year), and even Pink; whose become known as much for her aerial abilities as for her singing. Dangling high above the cavernous Staples Center as she sang; I couldn't help but wonder what safety provisions were being employed. I mean, it’s commendable, but is it safe? Teen-sensation Hunter Hayes was impressive, but seemed much too young and much too green to snare such a key-performance slot. Jay Z and wife Beyonce opened the show with the latter’s “Drunk In Love.” It was suggestive; somewhat repetitive; but, an opening act? 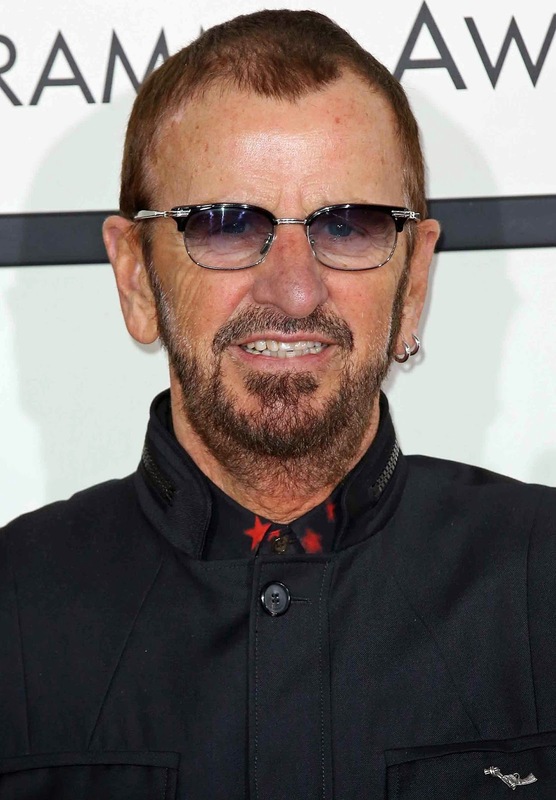 The 56th Annual Grammy Awards at Staples Center in Los Angeles, California, once again brought out the stars. Fashion ruled and style reigned. Album of the year: "Random Access Memories," Daft Punk. -- Record of the year: "Get Lucky," Daft Punk with Pharrell Williams and Nile Rodgers. -- Song of the year: "Royals," Lorde. -- New artist: Macklemore & Ryan Lewis. -- Pop solo performance: "Royals," Lorde. -- Pop/duo group performance: "Get Lucky," Daft Punk with Pharrell and Nile Rodgers. -- Rap/sung collaboration: "Holy Grail," Jay Z with Justin Timberlake. TV Land has announced today that it will produce an animated episode of its hit original sitcom “Hot in Cleveland.” Animation Studio Titmouse, Inc. will create the art for the episode, which will be part of the fifth season of the series. “Viewers love that we take their favorite sitcom stars and put them in our original sitcoms, so we’re sure they are going to love seeing these characters in an entirely new, animated universe,” said Larry W. Jones, President, TV Land. 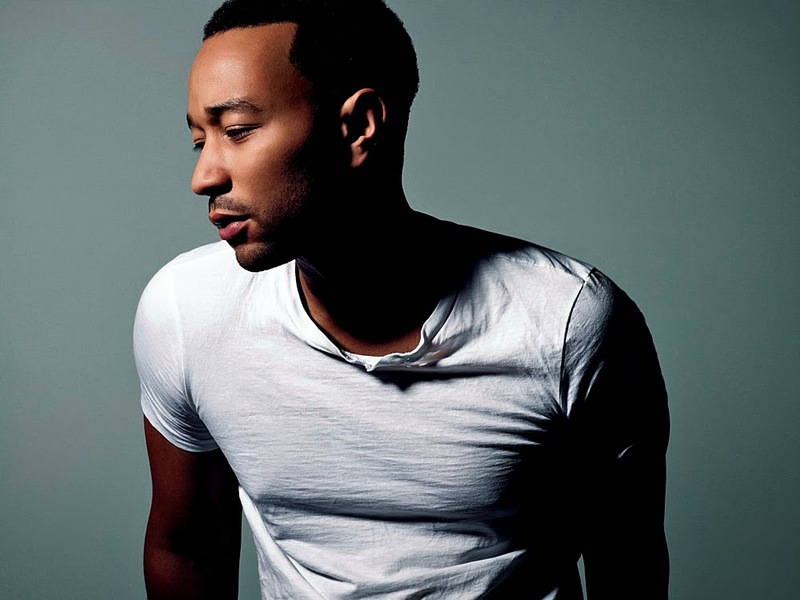 Bergen Performing Arts Center located at 30 North Van Brunt Street in Englewood New Jersey is proud to present "An Evening with JOHN LEGEND: The All of Me Tour." on Tuesday, May 27th at u8PM. Nine-time Grammy Award winning artist John Legend has announced dates for his 2014 North American tour titled "An Evening with John Legend: The All of Me Tour." The tour begins March 20th in Temecula, CA and will stop at bergenPAC in Englewood, New Jersey on May 27th. See John in an intimate and acoustic setting, highlighted by guitar/vocal accompaniment as well as a string quartet.